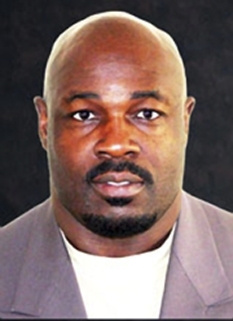 Neil Smith is a former defensive end who played for the Kansas City Chiefs, Denver Broncos and San Diego Chargers. 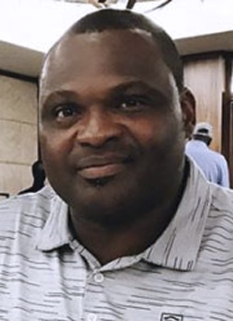 Smith played for the Chiefs from 1988 to 1996, the Broncos from 1997 to 1999 and the Chargers in 2000. 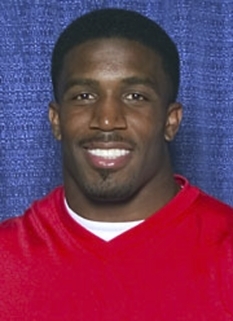 Prior to his NFL career, Smith was an All-American at the University of Nebraska. Smith was drafted by the Chiefs, who initially had the third pick. They made it known before the 1988 NFL Draft that they intended to take Smith, so they were forced to trade up to the second spot to overtake the Detroit Lions, who threatened to take him. Smith's size was astounding to NFL scouts, measuring 6'4" with a weight of 260 pounds and a 7-foot-1½-inch arm span. He also ran a 4.55 40-yard dash. 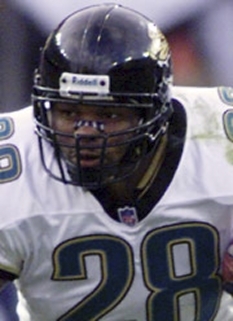 One of the top defensive linemen of his era, Smith made the Pro Bowl six times during his career (1991-1995, 97) and led the NFL with 15 sacks in the 1993 season. 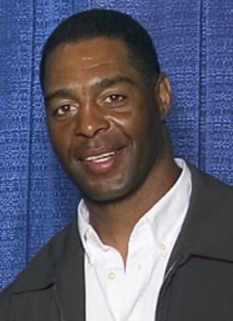 Smith won two Super Bowl titles with the Denver Broncos - XXXII and XXXIII. 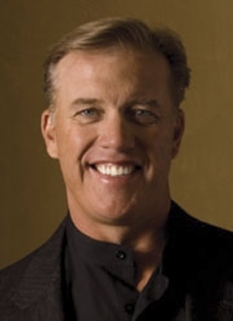 In the 1998 Divisional Playoffs against the Miami Dolphins, Smith cemented the 38-3 Broncos victory with a 79-yard fumble return for a touchdown, and followed it up in Super Bowl XXXII where he recorded a key fumble recovery that set up a Broncos field goal. Smith finished his 13 NFL seasons with 105 sacks, 12 fumble recoveries, four interceptions and two touchdowns. 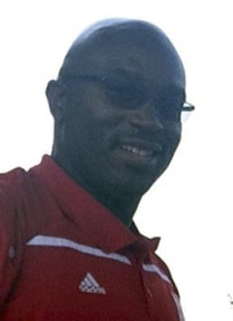 In October, 2006, Smith was inducted to the Chiefs' Hall of Fame. Smith's trademark sack celebration, which consisted of him swinging an imaginary baseball bat, was in tribute to another Kansas City sports hero, Hall Of Famer George Brett. There was a rule created in his name. Enacted in 1998, the "Neil Smith" rule prevents a defensive lineman from flinching to induce a false start penalty on the offense. DISCLAIMER: PFP Sports Talent Agency does not claim to represent itself as the exclusive agent for Neil Smith. 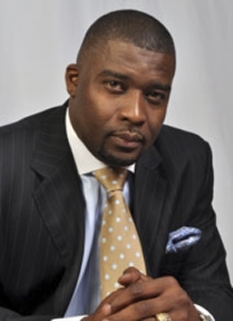 PFP Sports Talent Agency is a booking agency that represents organizations seeking to hire pro athletes and sports personalities such as Neil Smith for speaking engagements, personal appearances, product endorsements and corporate entertainment. Fees on this website are estimates and are intended only as a guideline. Exact fees are determined by a number of factors, including the location of event, the talent’s schedule, requested duties and supply and demand. PFP Sports Talent Agency makes no guarantees to the accuracy of information found on this website and does not warrant that any information or representations contained on this website will be accurate or free from errors. We are often asked how can I find out who is Neil Smith's agent? 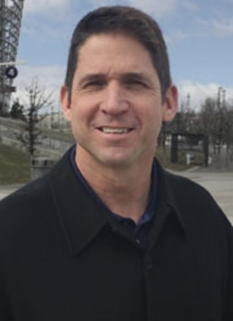 To find Neil Smith appearance fees and booking agent details, you can contact the agent, representative or manager through PFP Sports Talent Agency for speaking fee costs and availability. PFP Sports Talent Agency can help your company choose the ideal sports personality for your next marketing campaign. To hire Neil Smith for an appearance, speaking event or endorsement, contact Neil Smith's booking agent for more information.